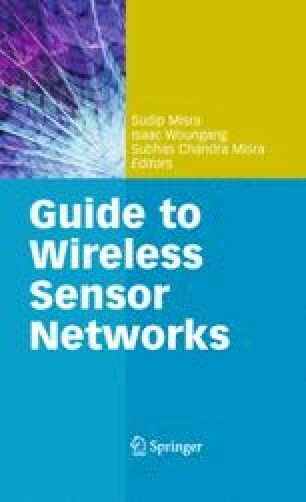 This chapter surveys routing algorithms for wireless sensor networks that use geometric ideas and abstractions. Wireless sensor networks have a unique geometric character as the sensor nodes are embedded in, and designed to monitor, the physical space. Thus the geometric embedding of the network can be exploited for scalable and efficient routing algorithm design. This chapter starts with geographical routing that use nodes’ geographical locations to guide the choice of the next hop node on the routing path. The scalability of geographical routing motivates more work on the design of virtual coordinates with which greedy routing algorithms are developed and applied to route messages in the network. The last section is concerned about data-centric routing, in which a query is routed to reach the sensor node holding data of interest. Thus the challenge is to discover the “source node” that possess the data as well as route the message there.